| Surveys and Stats	| Main Storage 3	| FAQ	| History	| Maps! 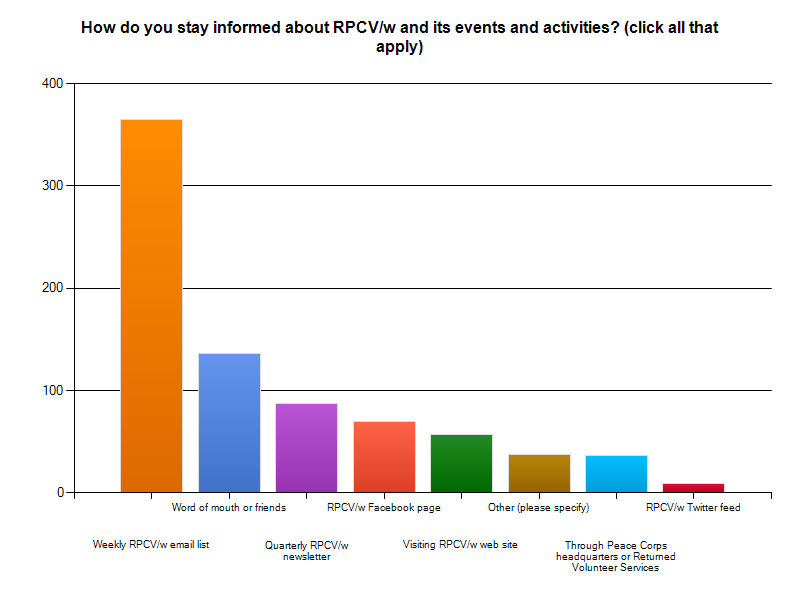 These are just some of the findings of a survey of the more than 2,000 subscribers to the RPCV/w listserv, and our more than 400 RPCV/w paid members conducted in April 2010. 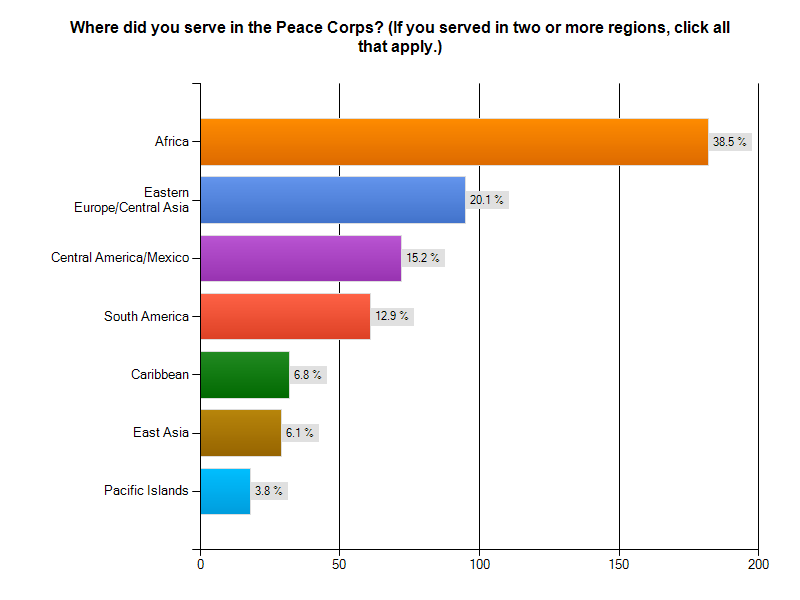 More than 400 people responded, including 182 RPCV/w members. 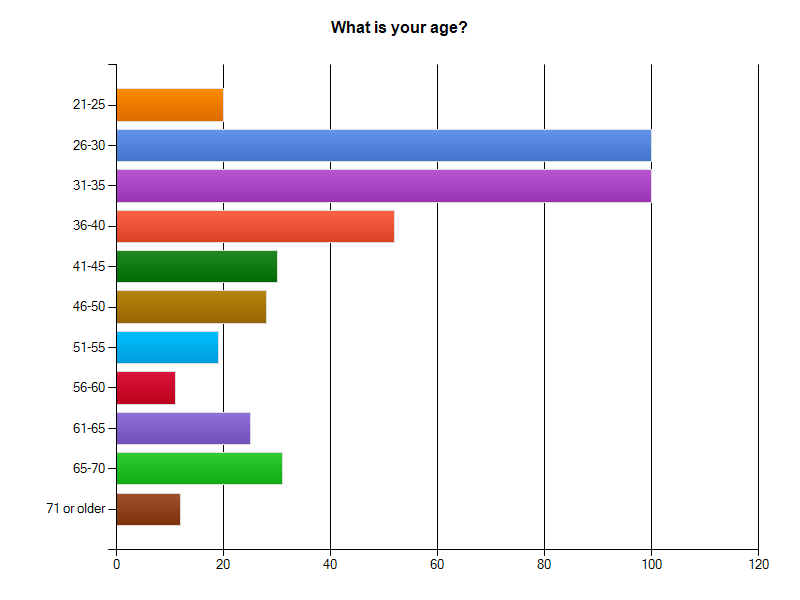 We took the survey to find out more about our members and what they think about RPCV/w. We discovered a number of things that will inform the direction of RPCV/w. For example, some people who let their RPCV/w membership expire did not see the value of paying $15 a year to be a member. Rest assured we plan to change that by offering more members-only events and benefits, such as networking opportunities, lectures and first access to events. We also learned that Africa is the number one region local RPCVs served, although Latin America is not far behind (if you combine South and Central America). 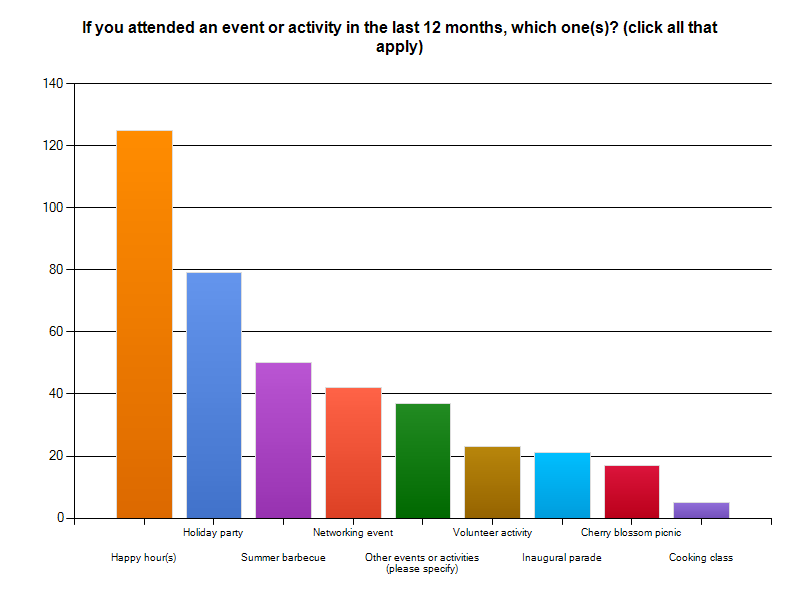 And although we received high marks for connecting newly returned and younger volunteers through social events (such as our regular happy hours), some said we could do more for older RPCVs and those with children. The RPCV/w board discussed the survey at its annual retreat in August. Thanks to all of you who participated. But remember that we at RPCV/w ALWAYS welcome feedback and participation from RPCVs of all stripes, including non-members. Contact us via email on our board web page if you have a suggestion, comment, or anything else. A survey summary is available here in PDF form.